Hi Cloud Partners! I am very excited to let you know that the ability to provide disaster recovery services using ASR (Azure Site Recovery) for your servers running in Azure as virtual machines is now available in preview! This is an ask we have heard many times and is a welcome addition to the ASR offering. Note that the value-add combined with the simplicity of setting this up makes it a great offering to bring to your stable of offerings! Use this preview time to get familiar with this new functionality. 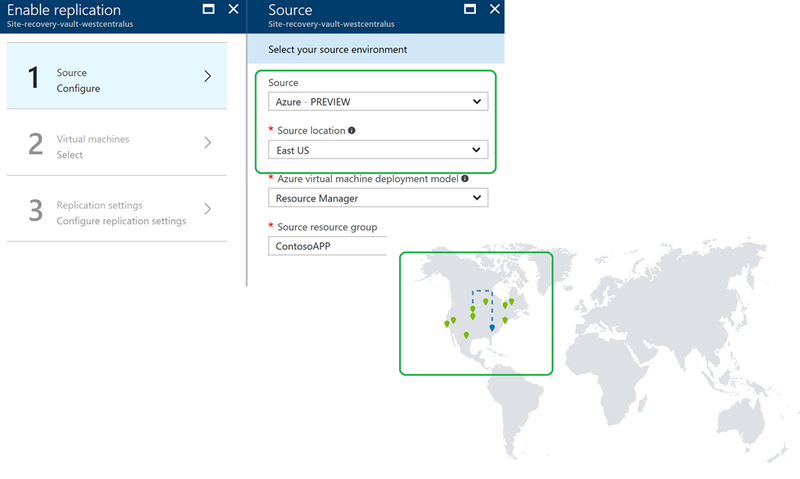 You can now easily replicate and protect IaaS based applications running on Azure to a different Azure region of your choice within a geographical cluster without deploying any additional infrastructure components or software appliances in your subscription. This new capability, along with Azure Backup for IaaS virtual machines, allows you to create a comprehensive business continuity and disaster recovery strategy for all your IaaS based applications running on Azure.